Dennis Nguyen is running for Minnesota Secretary of State. He would be the first Vietnamese American to hold the office should he winn the statewide election next year. Nguyen said his campaign boils down to three themes. 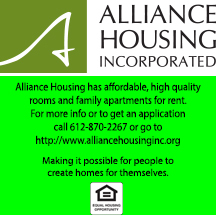 Nguyen wants to construct a new public-private partnership with the Office as the hub of a 21st century Minnesota economy. It would be an ecosystem designed to bring together entrepreneurs, investors, lawyers, accountants and bankers to create new sustainable, middle class jobs. “This is not a Republican or Democrat talking point, it’s just good and efficient government at work,” he said. Secondly, Nguyen said that as an immigrant, he believes that honest and expansive elections are the hallmarks of any true democracy. “Building on the Minnesota tradition of huge voter participation, we will work with elections experts and our colleagues in the Minnesota Legislature in a bipartisan manner to increase elections access, while simultaneously improve elections integrity. Nguyen said that in the 21st century today, we should be able to leverage technology to accomplish these goals through the tools of electronic poll books, online registration, absentee voting, and mail in voting. Over the next twelve months, Nguyen said his goals are to help revitalize the Republican Party for the 21st Century. The America of 2013 is not the America of 1953, he said, and whether this perception is true or not, too many people today whether they be minorities, college graduates, suburban moms, senior citizens, single women or average working class folks, believe that the Republican Party does not represent them and their ideals. Nguyen has lived the American Dream. He is the father of four children and the son of working class, Vietnamese refugees. 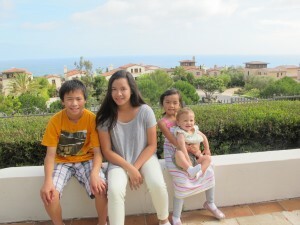 The four children of Dennis Nguyen. His parents brought their four children to the United States in May 1975 and settled in Anaheim, Calif. He was raised in a frugal, industrious family and said his parents imparted the values of faith, hard work, family and community to their children. Nguyens mother raised four children as she learned English, and later earned an Associates certificate at the local community college and worked as a technician at Hughes Aircraft. Nguyen earned a double B.A. in Economics and Chinese Literature from University of California, Irvine, a J.D. from the University of Minnesota Law School. He also earned an M.A. in International Studies from Johns Hopkins University-School of Advanced International Studies, and an M.B.A. from the University of Chicago Booth School of Business. “My education allowed me to pursue a professionally rewarding, almost two decade career in the private sector, which has given me the opportunity to partner with entrepreneurs to create sustainable, innovative, job creating businesses here in the US and internationally,” he said. After working for Nortel Networks, Citigroup, Credit Agricole Indosuez and Daiwa Securities SMBC, Nguyen started his own financial services firm, New Asia Partners. He helped many entrepreneurs to achieve their dreams. He said this business knowledge provided experience to address complex problems to and understand potential solutions. Nguyen moved his family to Minnesota in 2009. His children attended public schools in both Minneapolis and Edina. He is actively involved in Boy Scouts, Girl Scouts, and sports activities, churches, the Minnesota Historical Society Executive Council and was a delegate on Minnesota Governor Mark Dayton’s China Trade Mission in June 2012. 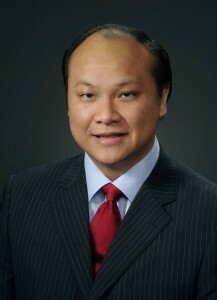 Find out more about the campaign at www.win-with-nguyen.com, and on Facebook at https://www.facebook.com/WinWithNguyen. His Youtube page is https://www.youtube.com/ watch?feature=player_ embedded& v=6liEtyNHFU4.